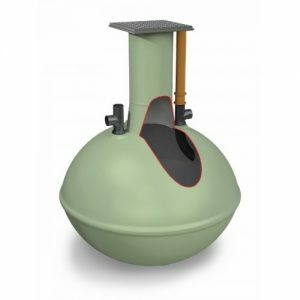 Owls Hall Environmental has a wide range of septic tanks suited for both residential and commercial properties, all of which can be purchased online. 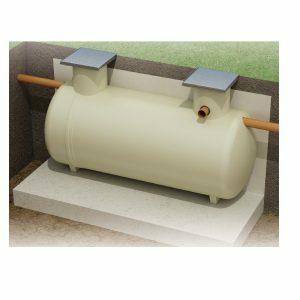 A Septic Tank is a system designed to treat wastewater where no mains sewer connection is available. The treated water is suitable to discharge through the ground via a suitably sized drainage field. A septic tank must be tested in accordance with EN12566/1 and sized correctly. 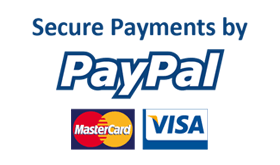 You can use our free septic tank sizing calculator to help, or call us for more advice. Septic tanks are made from GRP (or more modern versions from polyethene) which, like the Premier tech Septic tank, often have fine particle filters to help reduce suspended solids from the water and increase the lifespan of the drainage field. If you are discharging to a ditch, you will need to use a Sewage treatment plant. The Millennium septic tank is made from rotationally moulded Polyethylene and has a built in particle filter, offering easy installation and excellent performance. The 3000L tank is suitable for up to 6 population (4 bedrooms) and discharge to a drainage field. The Millennium septic tank is made from rotationally moulded Polyethylene and has a built in particle filter, offering easy installation and excellent performance. 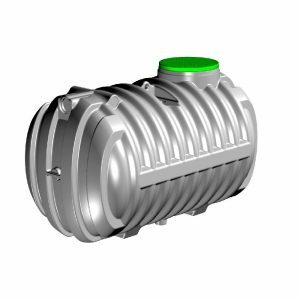 The 4000L tank is suitable for up to 13 population and discharge to a drainage field. The Millennium septic tank is made from rotationally moulded Polyethylene and has a built in particle filter, offering easy installation and excellent performance. The 5000 Litre tank is suitable for up to 20 population and discharge to a drainage field. The Millennium septic tank is made from rotationally moulded Polyethylene and has a built in particle filter, offering easy installation and excellent performance. The 6000 Litre tank is suitable for up to 26 population and discharge to a drainage field. The Millennium septic tank is made from rotationally moulded Polyethylene and has a built in particle filter, offering easy installation and excellent performance. The 8000L tank is suitable for up to 40 population and discharge to a drainage field. The Millennium septic tank is made from rotationally moulded Polyethylene and has a built in particle filter, offering easy installation and excellent performance. The 10000 Litre tank is suitable for up to 53 Population and discharge to a drainage field. The Clearwater 2800L Septic tank is made from GRP and suitable for treating domestic wastewater to a level where discharge to ground via a correctly constructed drainage field is possible. The Clearwater 3800L Septic tank is made from GRP and suitable for treating domestic wastewater to a level where discharge to ground via a correctly constructed drainage field is possible. The Clearwater 4600L Septic tank is made from GRP and suitable for treating domestic wastewater to a level where discharge to ground via a correctly constructed soakaway is possible. The Clearwater Shallow Dig 2800L Septic tank is made from GRP and suitable for treating domestic wastewater to a level where discharge to ground via a correctly constructed soakaway is possible. The Clearwater Shallow Dig 3800L Septic tank is made from GRP and suitable for treating domestic wastewater to a level where discharge to ground via a correctly constructed soakaway is possible. The Clearwater Shallow Dig 5700L Septic tank is made from GRP and suitable for treating domestic wastewater to a level where discharge to ground via a correctly constructed soakaway is possible.